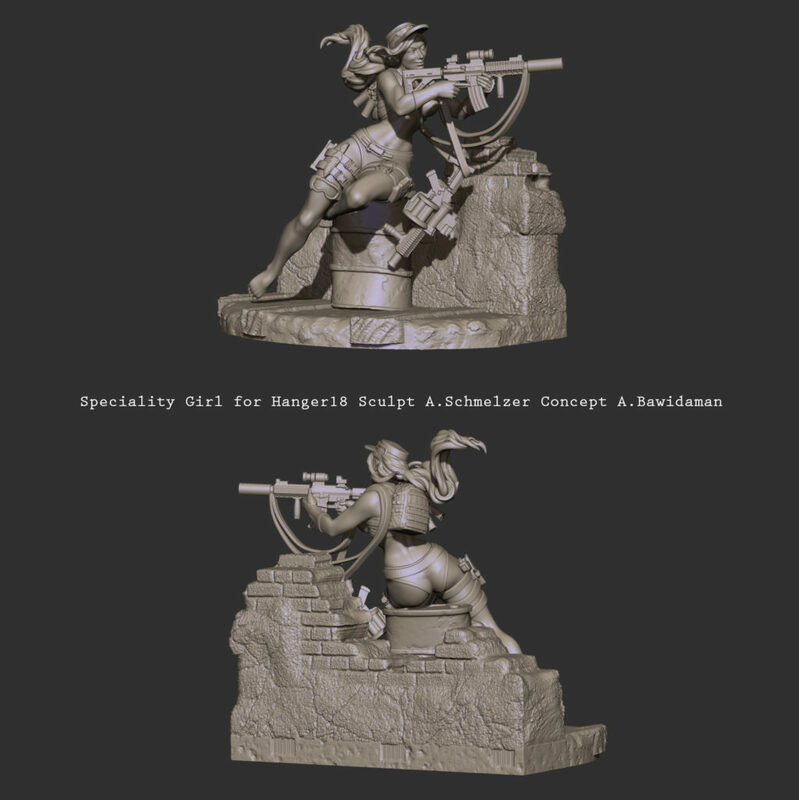 In 2014 Hangar 18 Miniature launched a Kickstarter Campaign for their unique pin-up girl series. 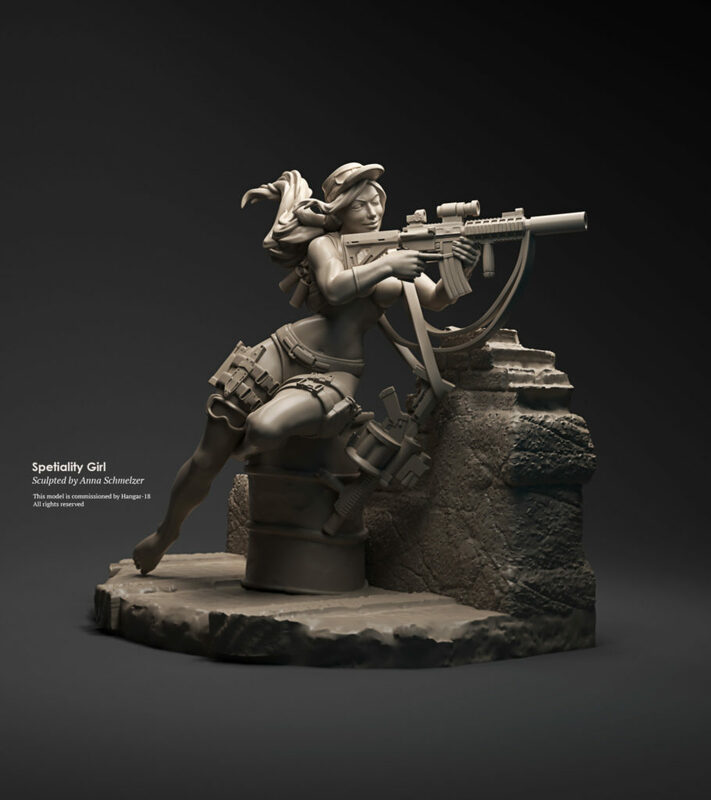 The designs are based on works of Andrew Bawidaman know for his military syle pin-up concepts. I was fortunate to being a part of the campaign. 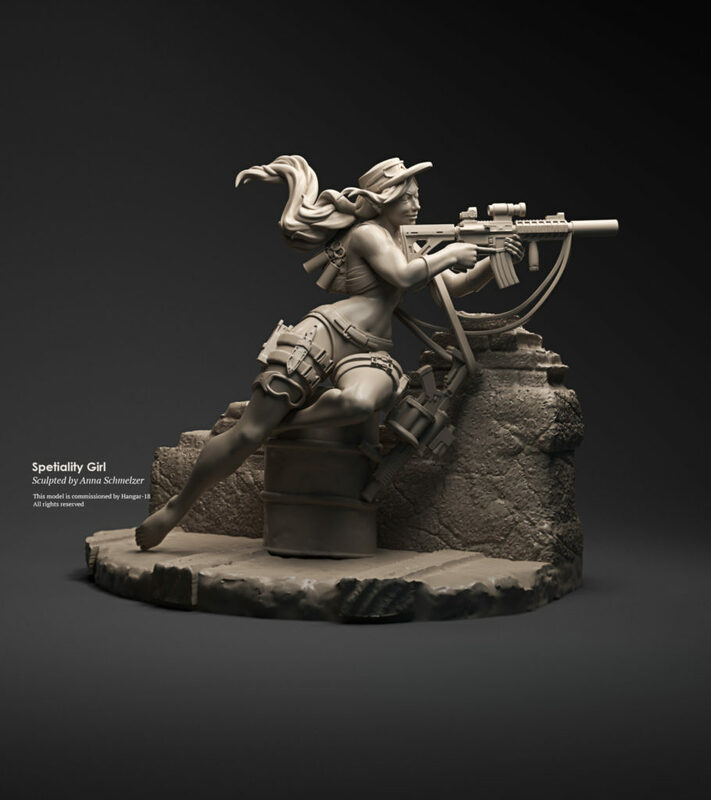 Specialty Girl is a 54mm scale miniature. 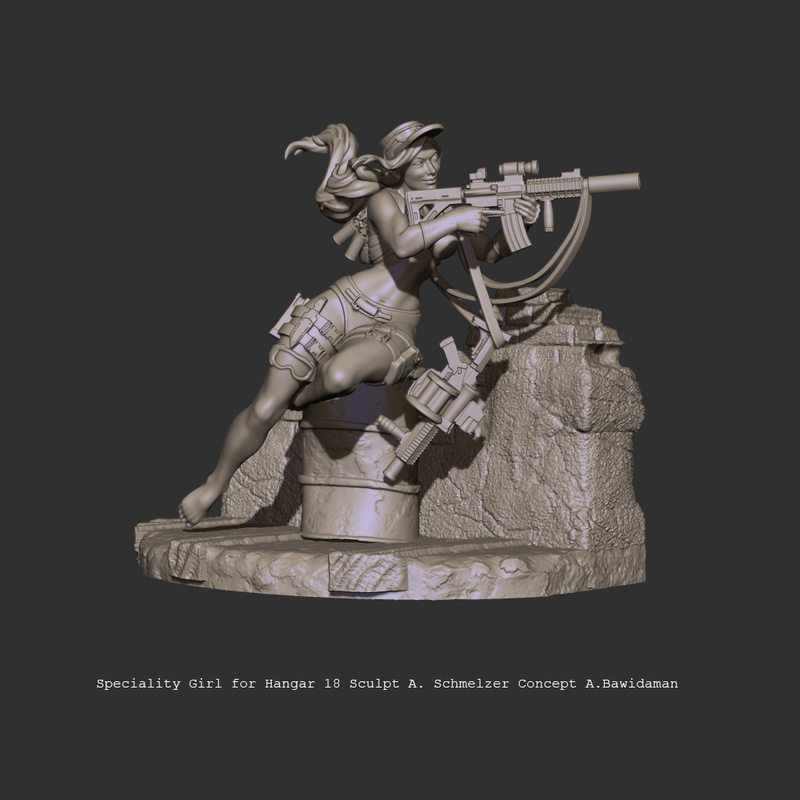 She is 3D printed cut and keyed for injection mold production. I guess its a limited series. 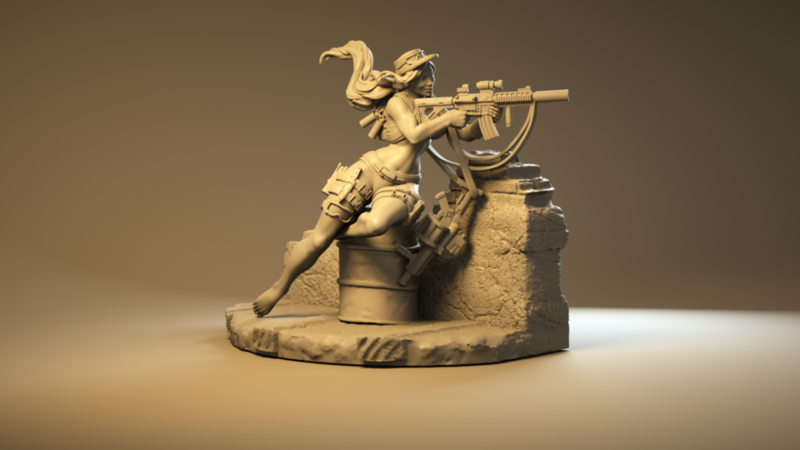 The 2016 renders was done in Modo, the turntable is Octane Render.